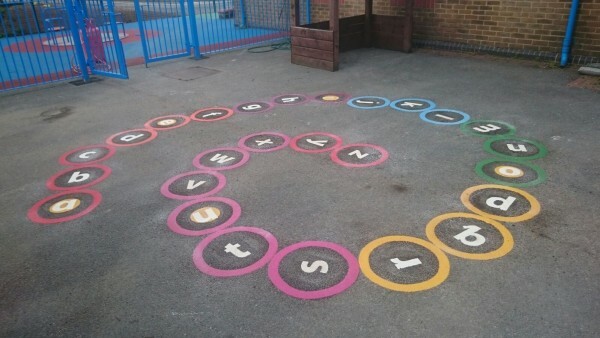 As playground markings experts we offer a wide range of services for clients including schools, nurseries and public facilities. 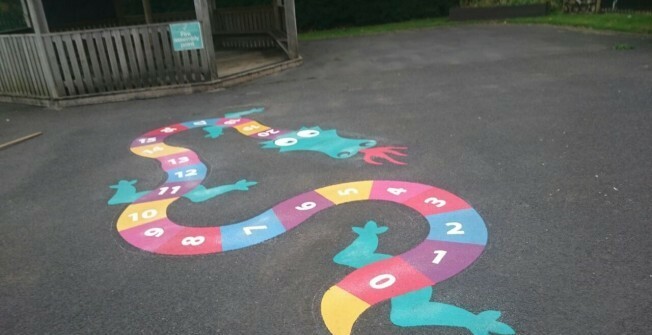 There are many colourful graphics which we can install onto existing play areas to create a fun and exciting outdoor space for children. 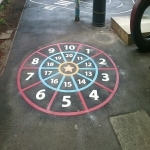 Our team have worked on numerous projects with bespoke designs which have been hugely successful. 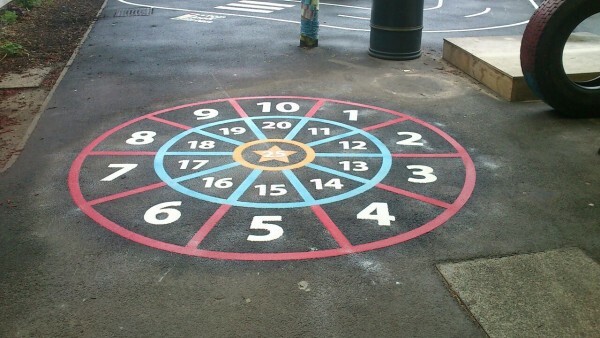 Our local specialists closest to you, can complete several distinct services that the customer can choose from, as a result of our experience within playground designs. 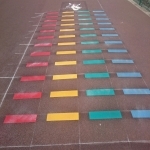 To help make certain the children are having a good time we offer an assortment of recreational surface line-markings that are not only useful but are also enjoyable for kids. 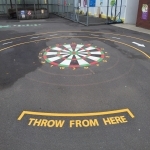 Each individual can select from many different types of play area designs - suiting different age groups - including colourful characters, classic games and competitive sports. 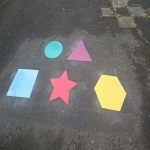 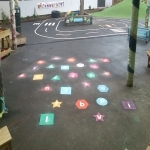 This can help improve your school or nurseries Ofsted Report https://www.playground-markings-direct.co.uk/learning/ofsted/ as you will be able to cater to a range of children in a fun, interactive way. 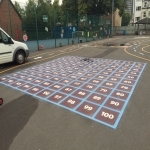 For the purpose of competitive sports our playground markings specialists may apply football, tennis, netball, basketball and all purpose designs. 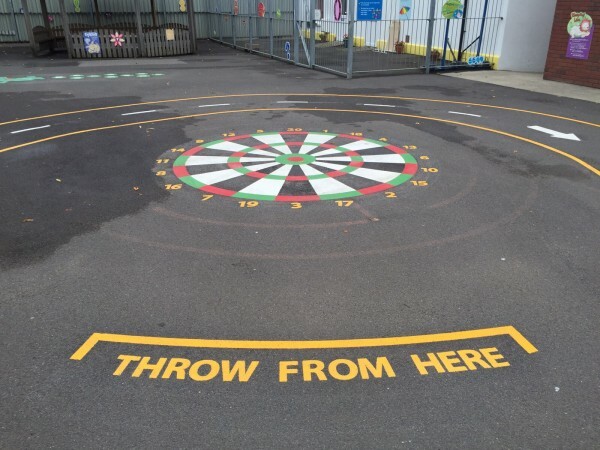 This helps schools benefit from playground surfacing and allows them to make use of these facilities for PE and after school clubs. Should you already have play area designs which have become worn out and dull after a while, our experienced professional staff can come out to the playground and improve old lines, improving the facility aesthetically. 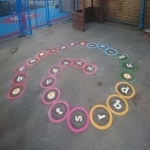 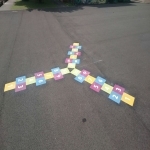 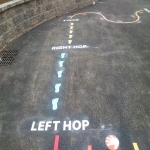 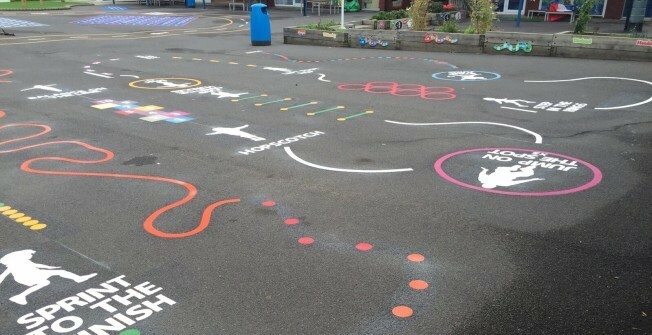 You could find out more about primary school playgrounds here - https://www.playground-markings-direct.co.uk/client/primary-school/ or speak to our team by filling out the enquiry form. 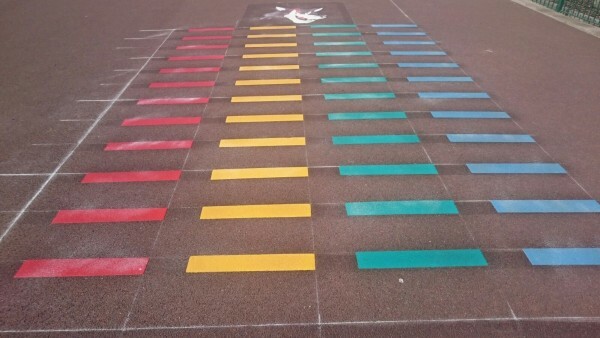 The markings that we install are created from thermoplastic shapes which are put down on top of the required surface and heated up until they melt and adhere to the macadam flooring. An array of distinct colours and specifications can be supplied so that you can pick any line-markings you'd like for the play surfacing that will accommodate the kids using it. If needed, we will colour the tarmac flooring just before our team put down the playground graphics https://www.playground-markings-direct.co.uk/flooring/playground/, which helps to make the surfacing appear fresh, as it should be much more bright. 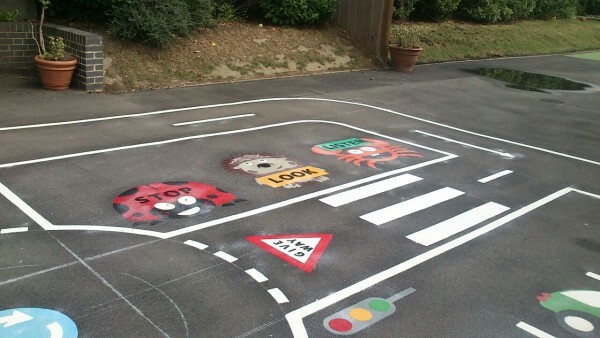 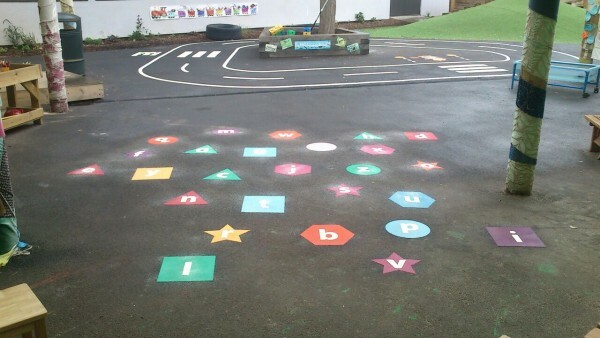 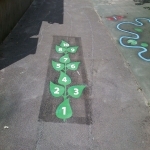 Play surfacing graphics application is extremely common in schools, day care centres and parks all through the UK. 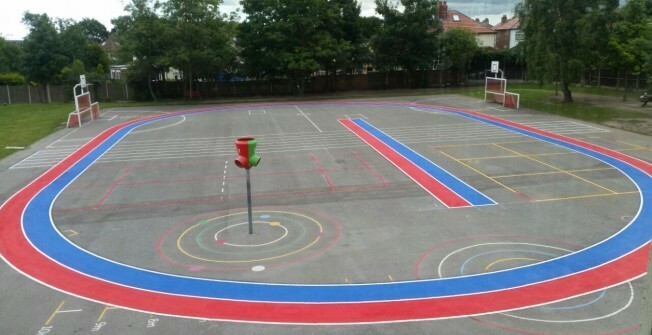 Please speak with our playground markings experts if you would like to receive a quote for applying colourful designs to your outdoor surface. This is a process which is often carried out on school playgrounds, as well as at kindergarten centres and public parks. The designs could be totally customised to suit you so don't hesitate to get in touch if you have any questions about this.